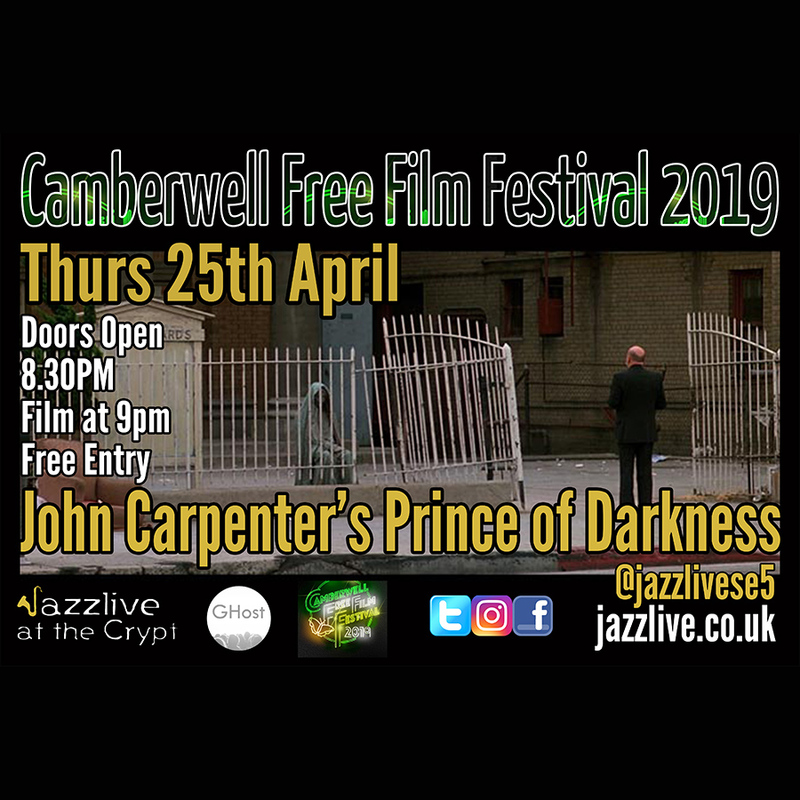 Camberwell Free Film Festival 2019 Presents . . .
A free screening of horror legend John Carpenter's tour de force of supernatural terror. Presented by GHost (https://www.ghosthostings.co.uk/) this elegantly photographed, legitimately frightening 1980s gem still holds up, screened here in a brand new restored HD version. For tonight's show they have a stellar line up which comprises of special guests top UK tenor saxophonist Paul Booth (Steely Dan, Steve Winwood) and post-bop trumpeter Andy Davies (Host Ronnie Scott's jazz jam, Simians of swing) backed up by the core Organ trio of Sophie Alloway on Drums, Andy Noble on Hammond Organ and French guitarist/band leader Clement Regert. ""Whaoo! What a band! ... You are in for a real treat." 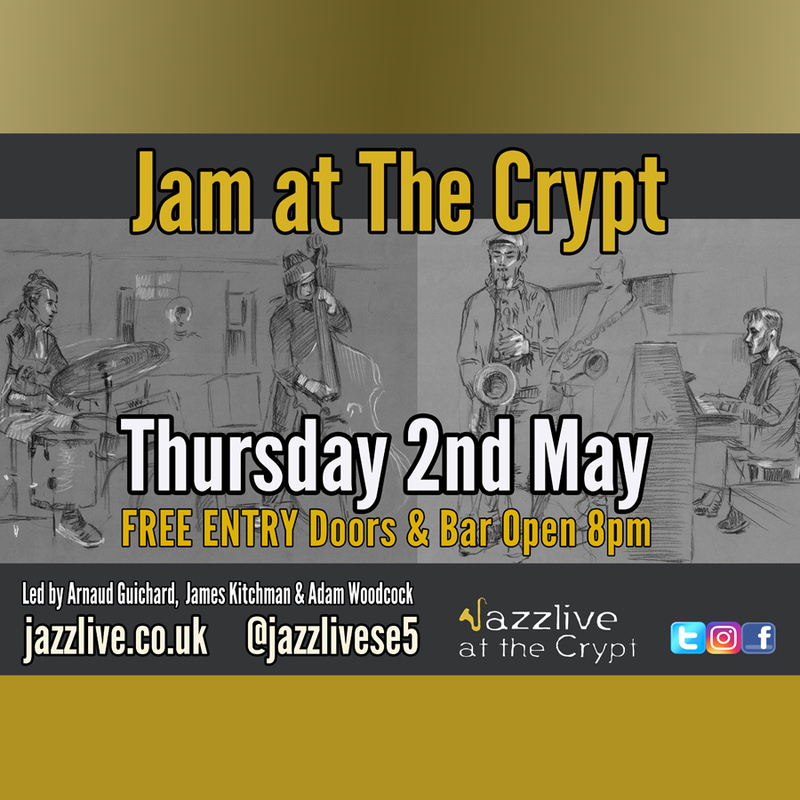 Linley Hamilton BBC "Jazz World show"
'Jam at The Crypt' led by the very talented Arnaud Guichard returns on Thursday 2nd May. The house band features some of London's finest with Adam Woodcock on drums and Mikele Montolli on bass. The house band play a short first set of original music and standards followed in the second set by the jam session open to all musicians. FREE ENTRY. Doors open at 8pm, first set starts at 8.30pm. These sessions are proving popular therefore do come along early if you want to play. All abilities welcome. If you just want to come along to listen and take in the vibe, you are very welcome to do that too. Arnaud Guichard is a Belgian born saxophonist and composer. 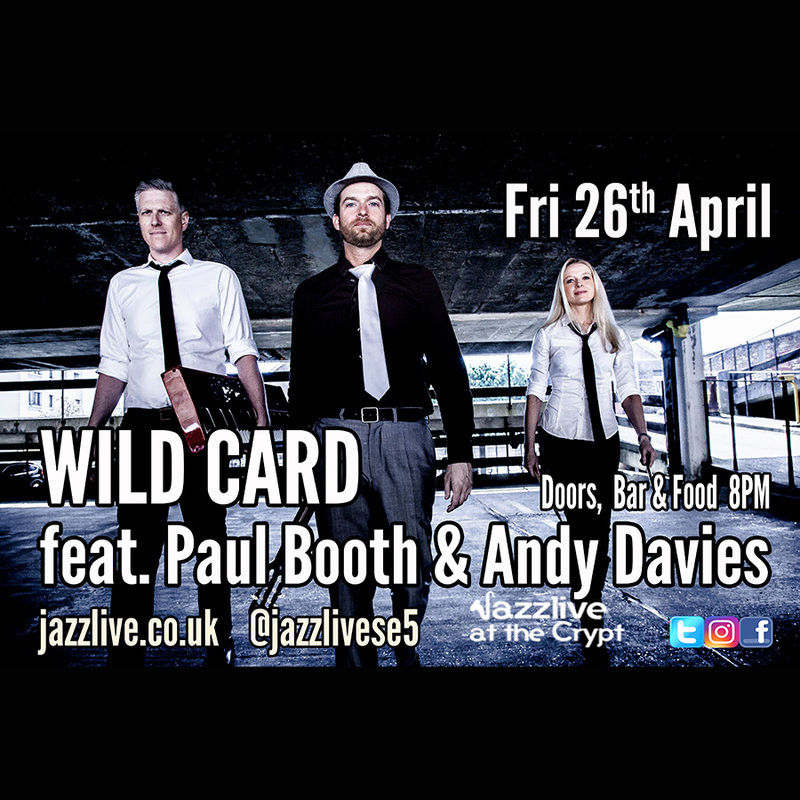 Since he arrived in the UK in 2013, Arnaud performed as a sideman and as a leader with the renowned jazz musicians Zoe Rahman, Mark Lockheart, Simon Purcell, Mick Foster, Dave Wickins and Moses Boyd. His latest work as a bandleader 'Serendip' is a project that reflects Arnaud's early influences from the 'Symphony Fantastiqu' by Berlioz. Serendip cultivates the essence of program music using the Persian tale 'The Three Princes of Serendip' as an extra-musical narrative. 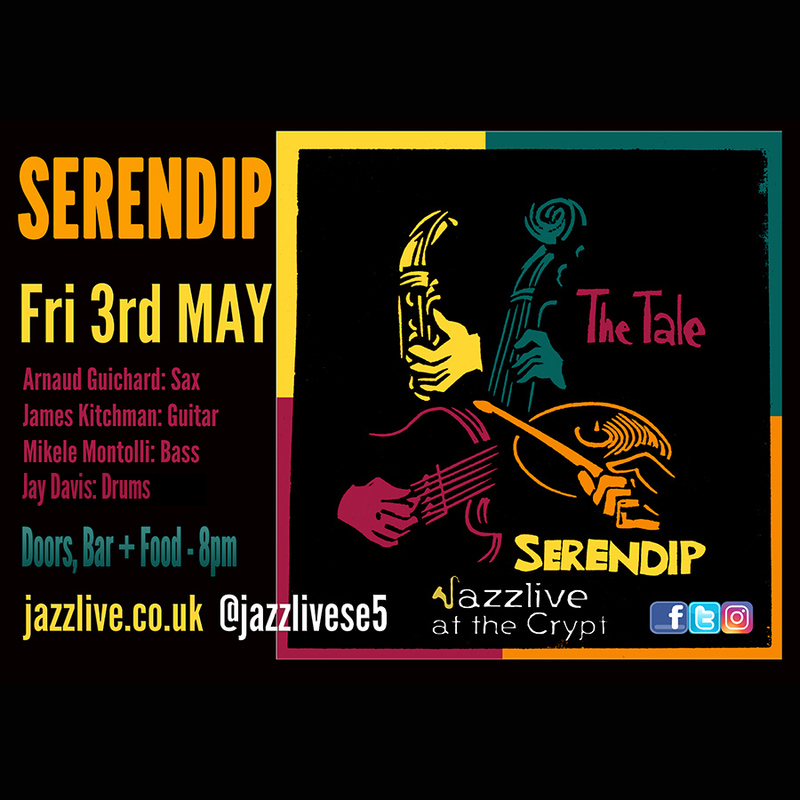 Since its start in 2017 'Serendip' played at Jazz in The Round, The Vortex Jazz Club, Jazz Live at The crypt amongst others and released its first album 'The Tale' at Total Refreshment Centre in May 2018. Chris Phillips and Jez Nelson played the album multiple times on their radio program 'The Blue Print' and 'Somethin' Else' at Jazz FM. Arnaud also took part in the Jazz Directors Series 3 with Zoe Rahman and toured in the North West of England. He is also the host of our monthly Jam at The Crypt. Serendip cultivates the essence of program music using the ancient Persian tale `The Three Princes of Serendip' as an extra musical narrative. Every tune melodically describes the characters in the story. Features Arnaud Guichard: Sax, James Kitchman: Guitar, Mikele Montolli: Bass, Jay Davis: Drums. EMOM comes to Jazzlive at the Crypt in Camberwell. 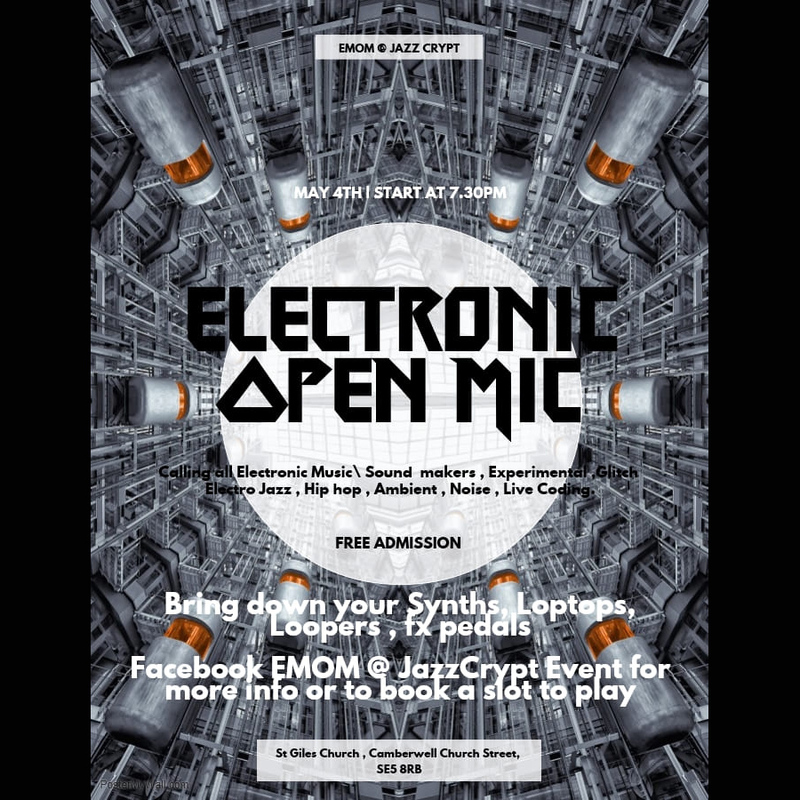 EMOM, Electronic Music Open Mic comes to Jazzlive at the Crypt. 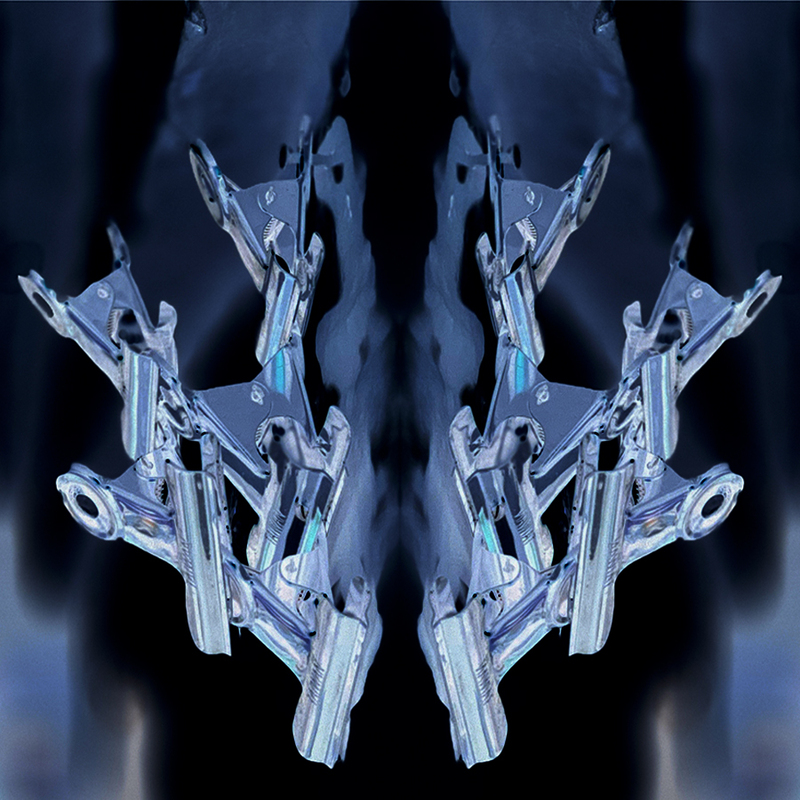 Calling all electronic musicians - Experimental, Glitch, ElectroJazz, Hip Hop, Ambient, Noise. Live coding etc - If it's electronic and makes a noise we wanna hear it. Performers slots will be 20 mins (including set up / pack down) If you're interested in playing please contact Chewy Maddigan via Facebook - link below. 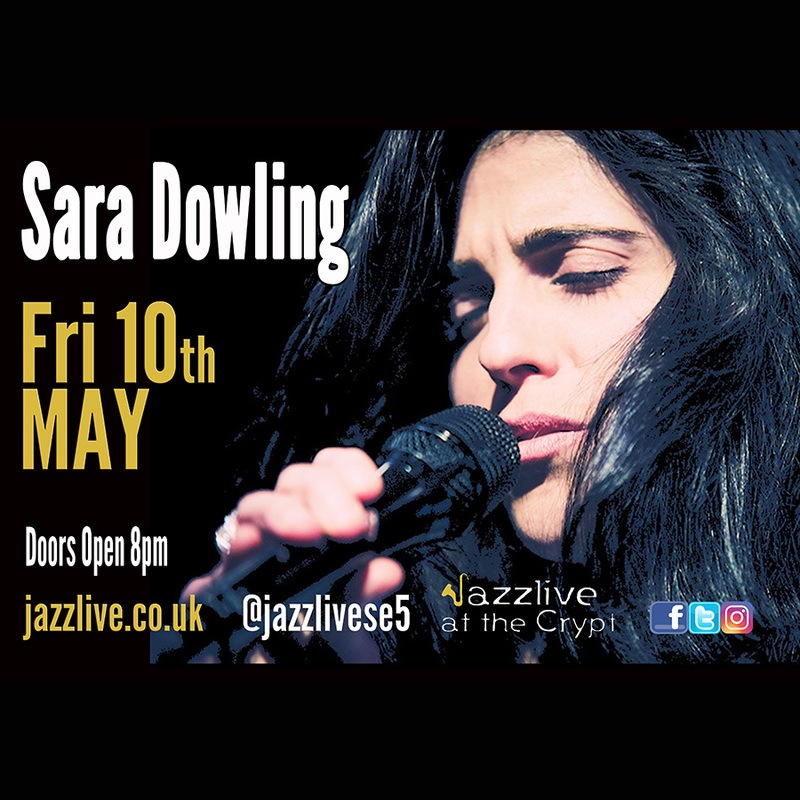 Friday 10th May sees the long awaited return to the Crypt of exceptional singer Sara Dowling. Gifted with immensely emotional vocals, her influences are wide and far-reaching. Her first love was the turning records of her father�s jazz collection, which over the years has developed her understanding of jazz. She had a five star review from Jazz Journal who said "A vocal with timeless quality" and Jazz Views gave her album of the month saying "A remarkable one off voice". 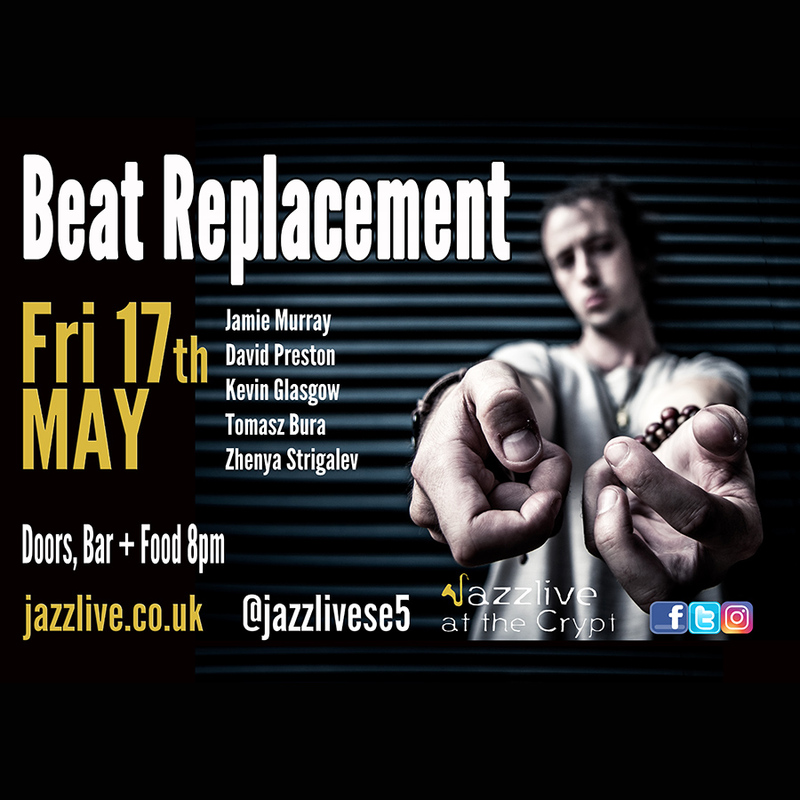 Beat Replacement is a modern jazz fusion group led by the UK's rising drummer talent, Jamie Murray. With a solid groove style yet an open minded approach to free experimentation, Jamie and his all star band bring a heavy amount of fire and intensity to each performance - with Zhenya Strigalev 'exploring and pushing the limits of the Alto Saxophone', David Preston playing guitar 'like a man possessed', Tomasz Bura 'injecting heartfelt beauty and colourful soundscapes' and Kevin Glasgow filling the background air 'like a sonic boom'. Beat Replacement have quickly earned respect as one of the UK's most exciting new bands with their forward-thinking approach and exhilarating live show.